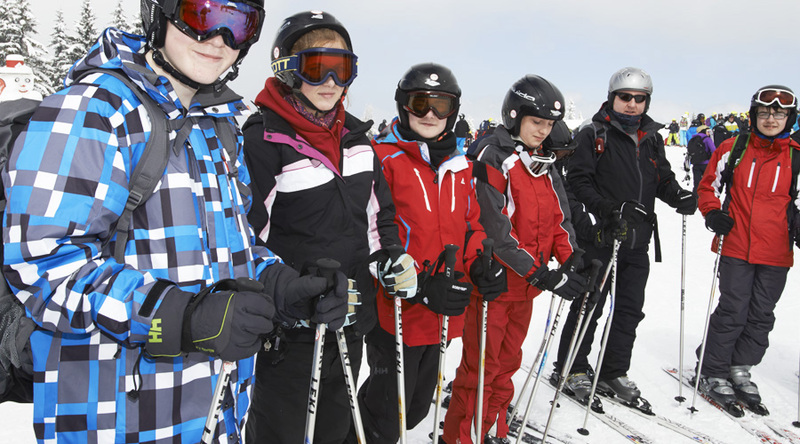 The small size of Claviere village means that access to the slopes for our school ski trip groups is just a short stroll down from the main road to the compact central base area. This area houses the resort's beginners' zone, which is equipped with an easy-to-use conveyor-belt surface lift, and also serves as the finish area for all of the main home-run pistes. The westernmost base area chairlift also serves a couple of short but good red and black pistes on the forested slopes directly in front of Claviere, as well as a straightforward red-classified link to the nearest chairlift on French territory in the neighbouring Montgenevre ski area. There is an easier link to Montgenevre via a separate chairlift based on the opposite side of the road at the upper western end of Claviere village. Claviere is a tiny village that straddles the main road on the Italian side of the Passo del Monginevro (Col de Montgenevre) on the border between Italy and France; the upper western end of the village actually marks the frontier. It offers a wonderful and viable low-cost gateway into the extensive trans-national Milky Way (Via Lattea) ski domain. Claviere's local Monti della Luna ski area offers an interesting mix of mostly intermediate terrain that forms the link between the French ski resort of Montgenevre to the west and the other linked Italian resorts of the core Milky Way circuit to the north-east. The Claviere and Montgenevre sectors are fairly seamlessly linked and between them they offer mpre than enough variety and mileage for a great week's skiing. Claviere village is a short ribbon of houses; there are a few hotels, and a handful of shops and bars. There is a basement disco-pub at the central Passero Pellegrino hotel. A couple of the mountain restaurants host evening snowmobile excursions for dinner followed by a torchlit ski descent to Claviere. There’s also a small outdoor natural ice skating rink. 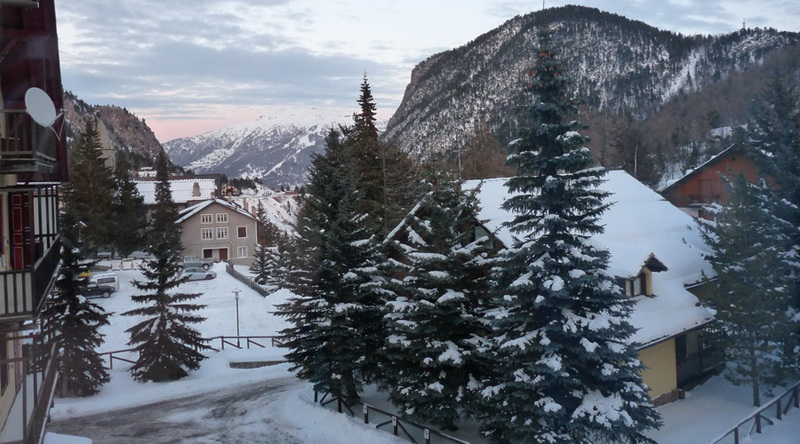 The bigger and livelier French resort of Montgenevre is only two kilometres up the road.